Signature Iron Doors manufactures Iron work for every part of a home. 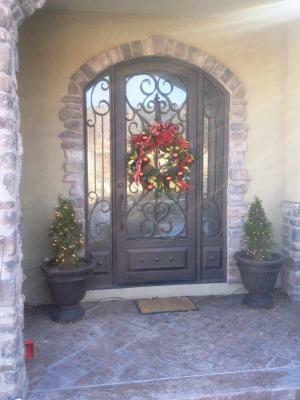 This is a single iron entry door with side lights in our Milan style done for a customer near Phoenix Arizona. Our doors are timeless with every piece hand forged by certified welders. Call us and come by our showroom in Phoenix Arizona to discuss with a sales representative how your home can have an iron entry door with sidelights installed.